"Currie Mountain is a pine-clad hill on the left bank of the Saint John River five miles east of Fredericton. For many years the property of the Currie Family, the mountain was donated to in 1965 to the University of New Brunswick by Dr Earl Turner on condition that it remain in its natural state." After the second turn the dancing couple continues the reel with bottom couple to change places. Added on: Dec. 30, 2018, 7:49 p.m.
Added on: Dec. 20, 2013, 8:37 a.m.
RSCDS Cheshire Branch - Social 10 April 2019 2019-04-10 Andrew Locke March 10, 2019, 4:49 p.m.
Wrexham - Monday 26 February 2018 2018-02-26 Andrew Locke Feb. 2, 2018, 10:26 p.m.
Waltham Class 2018-02-08 JOSEPHINE THORPE Feb. 6, 2018, 8:35 a.m.
NJ Alpine Boat Basin Sept. 25th, 2016 Sue Ronald July 28, 2016, 1:54 p.m.
2016_10_7 Bude Friday programme 2016-10-07 Gerard Elliott Sept. 28, 2016, 8:30 a.m.
RSCDS New York Branch August 11th 2016 Sue Ronald Aug. 6, 2016, 9:39 p.m.
Newark Burns Night 2019 2019-01-29 John Aitken Jan. 7, 2019, 10:47 p.m.
17 04 22 SASS Mannings Heath 2017-04-22 Chris Pratt Feb. 21, 2017, 11:04 p.m.
Waltham weekly 2018-01-25 2018-01-25 John Aitken Jan. 21, 2018, 10:13 p.m.
16 11 05 Sevenoaks Reel Club 2016-11-05 Chris Pratt Sept. 14, 2016, 9:25 p.m.
17 03 04 Crawley 2017-03-04 Chris Pratt Oct. 11, 2016, 8:48 p.m.
HHK Basic 2018-11-27 2018-11-27 Marc Hartstein Nov. 27, 2018, 9:02 p.m.
RSCDS Manchester Branch Christmas Dance 2018-11-24 Helen Freer July 8, 2018, 1:02 p.m.
Waltham Class 24.02.2017 2017-02-24 JOSEPHINE THORPE Feb. 22, 2017, 8:44 a.m. Tea Dance: Upton Hall 06 Jun 2018 2018-06-06 John Aitken April 27, 2018, 1:48 p.m.
Eastwell 171019 Sue Ronald Dec. 12, 2017, 5 p.m.
181105P 2018-11-05 Michael Däther Nov. 4, 2018, 2 p.m.
RSCDS Wirral - Tuesday 14 November 2017 2017-11-14 Andrew Locke Nov. 12, 2017, 8 p.m.
Knutsford Invitation Evening 2015 2015-03-25 Andrew Locke March 16, 2015, 11:48 p.m.
RSCDS Manchester Xmas Dance 2018 2018-11-24 Heather Cook Nov. 11, 2018, 5:31 p.m.
Newark Annual Dance 21 Oct 2017 2017-10-21 John Aitken Aug. 6, 2017, 10:27 a.m.
Leeds, York and N Humberside Joint Ball 17th November 2018 2018-11-17 Janet Brayson Sept. 12, 2018, 10:24 p.m.
Maidenhead 2017-01-14 Highland Ball 2017-01-14 David McQuillan Dec. 8, 2016, 2:08 a.m.
RSCDS Cheshire Branch Social - 20 June 2018 2018-06-20 Andrew Locke June 17, 2018, 2:22 p.m.
Waltham weekly 2018-04-19 2018-04-19 John Aitken April 16, 2018, 1:40 p.m.
Waltham weekly 2018-04-12 2018-04-12 John Aitken April 8, 2018, 8:20 p.m.
17 10 14 SASS Goring 2017-10-14 Chris Pratt Sept. 29, 2017, 11:25 a.m. Tea Dance: Epperstone 31 May 2017 2017-05-31 John Aitken April 27, 2018, 1:53 p.m.
Newark 2017-03-28 End of Term 2017-03-28 John Aitken March 22, 2017, 4:03 p.m.
Newark weekly 2018-03-06 2018-03-06 John Aitken Jan. 4, 2019, 10:03 a.m.
Ipswich Anglo Society Autumn Dance 11 Oct 2014 2014-10-11 David Ambrose Sept. 11, 2014, 10:18 p.m.
RSCDS Cheshire - Wednesday 28 February 2018 2018-02-26 Andrew Locke Feb. 28, 2018, 1:01 a.m.
Newark Members' Social 04 Sep 2018 2018-09-04 John Aitken Aug. 20, 2018, 11:32 a.m.
Bingham Methodist Centre, Summer Dance 16 Jun 2018 2018-06-16 John Aitken March 12, 2019, 9:47 a.m.
Alpine Boat Basin 2014 Deborah Leary July 2, 2014, 3:13 p.m.
Waltham weekly 2017-11-23 2017-11-23 John Aitken Nov. 21, 2017, 9:48 a.m.
RSCDS Cheshire Branch Social - 30 May 2018 2018-05-30 Andrew Locke April 29, 2018, 2:46 p.m.
Leeds Branch Dance 16th June 2018 2018-06-16 Janet Brayson April 17, 2018, 8:12 p.m.
Wrexham - Monday 25 March 2019 2019-03-25 Andrew Locke March 10, 2019, 6:15 p.m.
16 09 03 Parkinson's Goring 2016-09-03 Chris Pratt May 30, 2016, 6:11 p.m.
ASCDS JOSEPHINE THORPE Sept. 25, 2017, 9:02 a.m.
New York Branch 20 July 2017-07-18 Chris Ronald July 18, 2017, 11:34 p.m.
Nantwich President's and Visitors' Night - Mon 6 Nov 2017 2017-11-06 Christine Grove Sept. 4, 2017, 2:34 p.m.
Scotia Dancers/RSCDS New York Branch End of Year Party. June 23rd, 2014 2014-06-23 Sue Ronald May 26, 2014, 5:30 p.m.
Anna & Vic Programme 17-10-18 2018-10-11 Victoria McNeill Oct. 11, 2018, 8:32 a.m.
Nantwich Burns' Night 2016-01-23 Christine Grove Aug. 28, 2015, 8:21 p.m.
RSCDS Wirral Tuesday Programme 2015-10-06 Anne MacDonald Oct. 4, 2015, 10:07 p.m.
Nunspeet Ball Programme 2017 2017-02-04 Margaret Lambourne Jan. 29, 2017, 9:57 p.m.
RSCDS Cheshire Visitors Night Weds 20th April 2016 2016-04-20 Christine Grove Feb. 13, 2016, 9:49 a.m.
Bingham weekly 05 Mar 2018 2018-03-05 John Aitken Feb. 28, 2018, 3:41 p.m.
Scotia Dancers, Change of Day, TUESDAY April 19th, 7:00PM 2016-04-19 Sue Ronald April 14, 2016, 3:58 p.m.
16 06 19 Strawberry Tea 2016-06-19 Chris Pratt May 22, 2016, 5:54 p.m.
Quarrie Oldenburg Children's Course - 2019-04-26 - Ideas David Quarrie March 11, 2019, 10:16 a.m.
RSCDS New York Branch PARTY September 1st, 2016 Sue Ronald Aug. 17, 2016, 3:41 p.m.
18 10 27 Brighton RSCDS Halloween 2018-10-27 Chris Pratt May 20, 2018, 10:25 a.m. Grandfather Mountain 2018 Gala 2018-07-13 Amy Page May 15, 2018, 10:38 p.m.
Loretta's BB programme - Draft Sue Ronald March 31, 2017, 11:08 a.m.
Loretta's BB programme - Draft - S's second suggestion! Sue Ronald April 5, 2017, 11:24 a.m.
Bridport 20th Anniversary Ball 2015-05-16 2015-05-16 Eric Ferguson March 10, 2019, 10:53 p.m.
F&F Social 10 Aug 2017 2017-08-10 John Aitken June 13, 2018, 10:20 p.m.
Alpine Boat Basin 2017 2017-09-10 Deborah Leary May 12, 2017, 10:36 p.m.
Scotia April 25th, 2016 Sue Ronald April 21, 2016, 11:35 a.m.
Nottingham RSCDS Hogmanay Social 2017-12-31 Nameless Dancer Sept. 21, 2017, 10:54 a.m.
181119P 2018-11-19 Michael Däther Nov. 18, 2018, 7:02 p.m.
F&F Social 16 Aug 2018 2018-08-16 John Aitken June 13, 2018, 10:19 p.m.
San Diego Food Truck Friday 2017 2017-09-01 Ward Fleri Aug. 31, 2017, 1:40 a.m.
Münster Christmas Ball 2010 2010-12-18 Edwin Werner Sept. 30, 2016, 10:40 a.m.
SEHSCDS April 2017 Nice and Easy Dance 2017-04-21 Dance ForFun Feb. 4, 2017, 3:09 p.m.
Lancashire & Cheshire Federation of Scottish Societies - 2018 Ball 2018-11-17 Andrew Locke Dec. 10, 2017, 2:32 p.m.
Ho-Ho-Kus Sept 13 2016 2016-09-13 Ken Saunders Sept. 11, 2016, 6:25 p.m.
Scotia Dancers Monday Feb 26 2018 Sue Ronald Feb. 23, 2018, 8:03 p.m.
18 11 10 Crawley 2018-11-10 Chris Pratt April 3, 2018, 11:13 p.m.
15-06-12 Luxembourg weekend Welcome Dance 2015-06-12 Truus de Ceuster April 6, 2015, 9:45 p.m.
Bookham 2014-07-05 Summer Dance 2014-07-05 David McQuillan June 4, 2014, 12:29 p.m.
Waltham Burns Night 2017 2017-01-23 John Aitken Jan. 17, 2017, 6:01 p.m.
NY branch 21 April 2016-04-21 Deborah Leary April 21, 2016, 12:28 a.m.
Hamburg Easy Workshop 2016-11-12 2016-11-12 David Quarrie Nov. 15, 2016, 7:51 p.m.
Bookham 2016-07-02 Summer Dance 2016-07-02 David McQuillan May 21, 2016, 12:14 a.m.
Bookham Summer Dance 2016-07-02 Evelyn Norman June 10, 2016, 9:17 a.m.
Newark Burns Night 2017 2017-01-24 John Aitken Jan. 17, 2017, 5:57 p.m.
Benalmadena Fri 01 Mar 2019 2019-03-01 John Aitken Aug. 15, 2018, 11:52 p.m.
F&F 2017 2017-05-11 John Aitken June 13, 2018, 10:17 p.m.
HHK July 25th 2017 Sue Ronald July 21, 2017, 2:10 p.m.
Waltham 7th Sept 2017 2017-09-07 JOSEPHINE THORPE Sept. 6, 2017, 1:06 p.m.
SQP-20171212 2017-12-09 Sylvie Lecharpentier Dec. 12, 2017, 11:39 p.m.
F&F 2018 2018-05-24 John Aitken June 13, 2018, 10:22 p.m.
Waltham weekly 2018-09-13 2018-09-13 John Aitken Sept. 11, 2018, 12:20 a.m.
Waltham weekly 2018-09-20 2018-09-20 John Aitken Sept. 16, 2018, 6:20 p.m.
Scotia Dancers Monday September 19th 2016 Sue Ronald Sept. 16, 2016, 8:31 p.m.
RSCDS New York Branch Classes 2016-11-17 Ellen Sears Nov. 15, 2016, 1:20 a.m.
Beginner's Ball 2015 2015-06-20 Tovar - June 24, 2015, 6:07 p.m.
Scotia - 11 April 2016 2016-04-11 Peter Price April 10, 2016, 5:58 p.m.
Scotia 31 July 2017 2017-07-25 Chris Ronald July 26, 2017, 8:17 p.m.
Orange County 2014 Christmas Ball Ward Fleri Oct. 11, 2014, 1:45 a.m.
Christmas Social 2017-12-18 JOSEPHINE THORPE Dec. 18, 2017, 5:35 p.m.
Waltham weekly 2017-11-09 2017-11-09 John Aitken Nov. 9, 2017, 10:04 a.m.
181015P 2018-10-15 Michael Däther Oct. 7, 2018, 1:53 p.m.
Maidenhead 2014-10-26 Afternoon Tea Dance 2014-10-26 David McQuillan Sept. 24, 2014, 11:24 p.m.
Waltham weekly 2018-02-01 2018-02-01 John Aitken Feb. 12, 2018, 5:16 p.m.
San Diego Christmas Dance 2016 2016-12-04 Ward Fleri Oct. 29, 2016, 12:50 a.m.
Wallasey Caledonian Society President’s Night Thursday 11th April 2019 2019-04-11 Andrew Locke March 8, 2019, 10:12 p.m.
Waltham Annual Dance 28 Oct 2017 2017-10-28 John Aitken Aug. 14, 2017, 7:18 p.m.
Grantham U3A Christmas 2018 2018-12-18 John Aitken Dec. 16, 2018, 10:22 p.m.
Grantham U3A Birthday 2019-05-14 2019-05-14 John Aitken April 10, 2019, 10:59 a.m.
NYC 2017-06-15 2017-06-15 Marc Hartstein June 14, 2017, 7:57 a.m.
Mountain View Beginners - Fall 2016 2016-09-14 Rachel Pusey Sept. 22, 2016, 5:43 p.m.
San Diego Christmas Dance 2014 Ward Fleri Sept. 29, 2014, 6:17 a.m.
Waltham weekly 2018-04-05 2018-04-05 John Aitken March 31, 2018, 12:45 p.m.
Chesterton Invitation Evening 2019-03-16 Christine Grove March 13, 2019, 12:51 p.m.
Christmas Tea Dance 2017 2017-12-11 Janet Brayson Oct. 15, 2017, 3:41 p.m.
San Diego Christmas Dance 2014-12-07 Nameless Dancer Nov. 26, 2014, 3:40 a.m.
HHK End of Series Party March 27 2018 Sue Ronald March 8, 2018, 4:46 p.m.
Newark St Andrews Day Charity Social 27 Nov 2018 2018-11-27 John Aitken Nov. 21, 2018, 10:03 a.m.
waltham Class 06.04.2017 JOSEPHINE THORPE April 5, 2017, 10:23 a.m.
RSCDS Seattle - Fort Worden Ball 2015-09-12 Rachel Pusey Sept. 8, 2015, 3:50 a.m.
RSCDS Wirral - Visitors' Night 13 Feb 2018 2018-02-13 Andrew Locke Jan. 18, 2018, 9:19 p.m.
Waltham weekly 2017-12-14 2017-12-14 John Aitken Dec. 12, 2017, 1:34 p.m.
Waltham weekly 2019-04-18 2019-04-18 John Aitken April 12, 2019, 1:24 p.m.
19 05 11 Eastbourne 2019-05-11 Chris Pratt Feb. 11, 2019, 11:57 a.m.
18 02 10 Mid Sussex 2018-02-10 Chris Pratt Nov. 19, 2017, 11:28 p.m.
NY Branch 14 July 2016-07-14 Deborah Leary July 13, 2016, 5:41 a.m.
RSCDS New York Branch Experienced Class Feb 28 2019 2019-02-28 Sue Ronald Feb. 25, 2019, 9:23 p.m.
S. Cal. 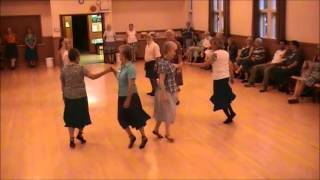 Interbranch Dance 2014 Ward Fleri Sept. 6, 2014, 7:16 p.m.
8 WEEK COURSE: Scottish Country Dancing for Wellness Sue Ronald April 30, 2018, 2:57 a.m.
February holiday Louise Macdougall Jan. 21, 2019, 6:26 p.m.
RSCDS New York Branch Basic Class Feb 28 2019 2019-02-28 Sue Ronald Feb. 25, 2019, 9:12 p.m.
Lucy Clark SCDC Summer Social Dance 2015-06-05 Jan Collings May 6, 2015, 10:38 p.m.
Orange County 2013 Christmas Ball Ward Fleri Oct. 25, 2013, 5:26 p.m.
Wallasey Caledonian Society President’s Night Thursday 12th April 2018 2018-04-12 Andrew Locke March 14, 2018, 11:45 p.m.
Berko Dem 2016-11-30 Petula Allen Nov. 29, 2016, 9:47 p.m.
RSCDS New York Branch September 22nd 2016 Sue Ronald Sept. 20, 2016, 8:37 p.m.
Waltham Spring Dance 2018 2018-03-10 John Aitken Jan. 9, 2019, 12:38 p.m.
15 03 07 Crawley 2015-03-07 Chris Pratt Nov. 14, 2014, 10:14 p.m.
Waltham Spring Social 11 Mar 2017 2017-03-11 John Aitken Jan. 27, 2017, 3:44 p.m.
RSCDS Cheshire Nice and Easy Dance - 31 Oct 2015 2015-10-31 Christine Grove Sept. 18, 2015, 7:43 p.m.
RSCCDS Cheshire Branch - Social 3 July 2019 2019-07-03 Andrew Locke March 18, 2019, 9:29 p.m.
2013-14 New York Branch Dance List Sue Ronald June 19, 2013, 5:40 p.m.
AUSDS 2019-03-16 Mary Cant March 14, 2019, 1:43 p.m.
Scotia Dancers Monday Feb 19 2018 Sue Ronald Feb. 16, 2018, 11:03 p.m.
Grantham U3A SCD general list 2017-10-24 John Aitken Oct. 23, 2017, 8:49 p.m.
Pinewoods Scottish Session 2, July 11th-16th, 2016 Sue Ronald Feb. 9, 2016, 9:46 p.m.